Karmichael Hunt of the Suns in action during the AFL Round 07 match between the Gold Coast Suns and the Brisbane Lions at the Gabba, Brisbane. Their last meeting was of course on the biggest of stages last year. In a tight tussle, the Hawks, the best team all year, took the points. 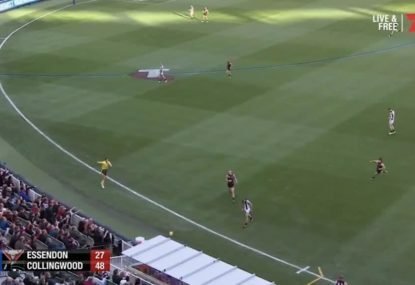 Fremantle have not beaten Hawthorn since the 2010 elimination final, a game they won by 30 points. Since then, five straight to the Hawks, including two at the MCG. Hawthorn have won eight of the past nine between the sides. Fremantle are well poised to break the streak, in this massive grand-final replay on Friday night. The Suns won the inaugural Q-Clash in 2011, but haven’t been able to do so since, with the Lions racking up five consecutive wins. This season they sit winless, while the Suns tipped over Richmond in the opening round. Gold Coast should start favourites, and will be very determined to snap a five-game hoodoo against their older brother in Queensland. The Magpies have pinched all three contests against Geelong since the 2011 grand final loss. 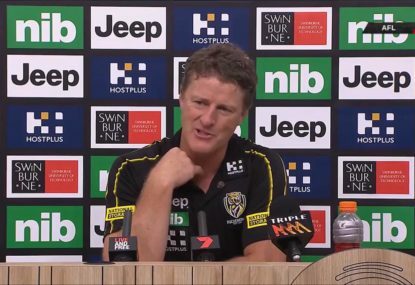 I may be drawing a long bow, but we know all about the Cats’ long streak after a loss on the biggest day to Hawthorn, will we see something similar evolve here? It won’t have the ‘curse’ tag, but it may just develop into something. 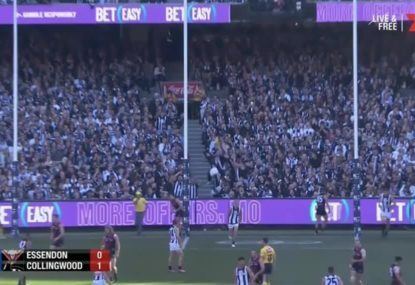 The Cats have cruised to victories in both rounds, while Collingwood recovered well with a Round 2 win after Fremantle made a mess of them in the first week. The Cats should snap their streak here, but will they? An interesting hoodoo, a mind game perhaps. You’d think Port Adelaide will get the job done on Sunday against a flat North. Will Etihad be a factor? 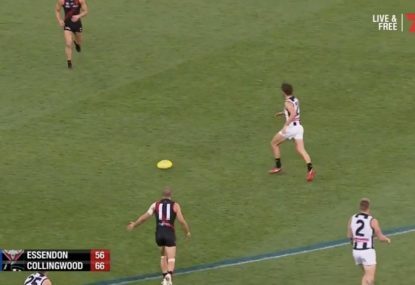 Port won their Round 1 clash at the venue and had a 1-2 record there last season. But Port Adelaide have not beaten North at the Docklands, believe it or not, since the 2005 elimination final – a romping 87-point triumph. Since that day, the sides have played four games at the ground, all wins to North, by 19, 5, 36 and 60 points. These little stats are essentially meaningless come game time, but sometimes track record and mental edge plays a bigger part than expected. 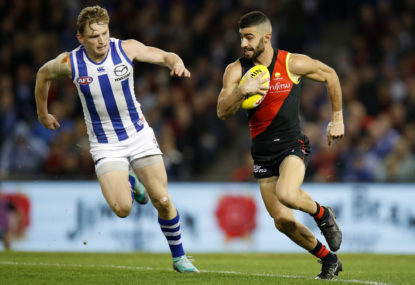 My tips for these games are: Fremantle, Gold Coast, Geelong and Port Adelaide – that’s four sides I’m tipping to break their hoodoos this week. Will we see it happen? We’ll find out soon enough. The commentators were almost lost for words! 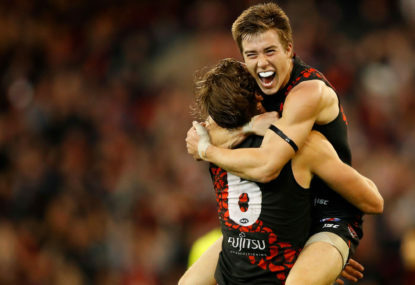 After a dreadful start to the 2019 AFL season, Essendon have enjoyed three wins on the trot heading into today’s mammoth Anzac Day clash with Collingwood at the MCG.